Ground Floor is at 103 Hunter St Newcastle, corner of Hunter St and Newcomen St! Ahhhh Ground Floor coffee. If you see a lot of cyclists at a coffee place you know the coffee is going to be good! Ground floor never disappoints with coffee. I must admit I am a bit of a frequent at Ground floor their coffee and they haven't disappointed yet! Always smooth and nice and strong perfect perk me up, especially if it's with a little sweet something something on the side. Double trouble with two cappuccinos for Dutchy and myself. Our coffee rating 9/10. Again I must admit I have had breakfast at Ground Floor before and it fails to disappoint. A little pricey but this is what your expect from quality hipster food. 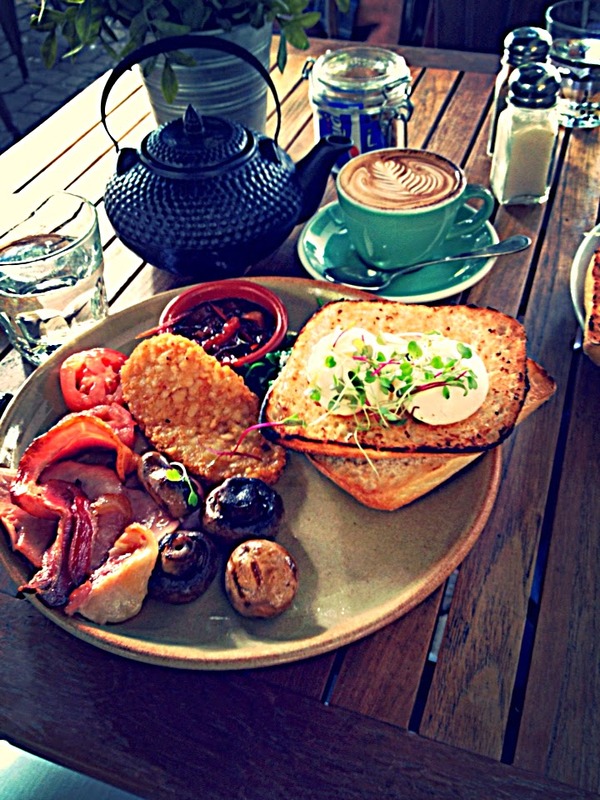 I got the big breakfast, I was quite hungry and pleased to say I was extremely satisfied. Dutchy got the eggs benedict with ham. She was also happy with her breakfast. Another awesome thing about Ground floor... with any breakfast on the menu (with bread) you have a choice of 5 different breads. Dutchy and I both choose Turkish. Ah nom nom! Of course we stayed for a small sweet something something on the side. 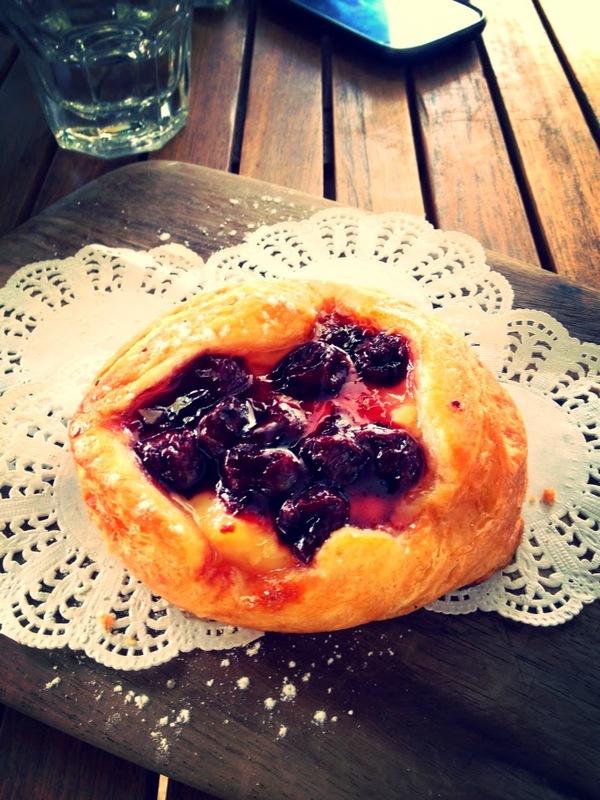 Their sizable selection made the decision hard but we choose an amazing cherry Danish. Overall 9/10 on food. Ground floor atmosphere is as good as all the hipster cafes we've reviewed already. Of course they have their own flair with beautiful pots of flowers or herbs on the tables outside under the big trees in the mall. Inside they have the funky lights and awesome functioning piano. We always love coming back to Ground Floor. Atmosphere rating 5/5. All in all you can't say much bad about Ground Floor. Definitely a fav with us. If you're just looking for having some brunch, breakfast or a coffee with a small something something we always enjoy going to Ground Floor. Overall rating 23/25.